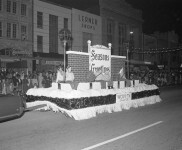 While based at Camp Sheridan in Montgomery, Alabama during World War I, the famous author, F. Scott Fitzgerald, met and fell in love with Zelda Sayre (1900–1948), the daughter of an Alabama Supreme Court justice and the “golden girl”, in Fitzgerald’s terms, of Montgomery youth society. The war ended in 1918, before Fitzgerald was ever deployed, and upon his discharge he moved to New York City hoping to launch a career in advertising that would be lucrative enough to convince Zelda to marry him. 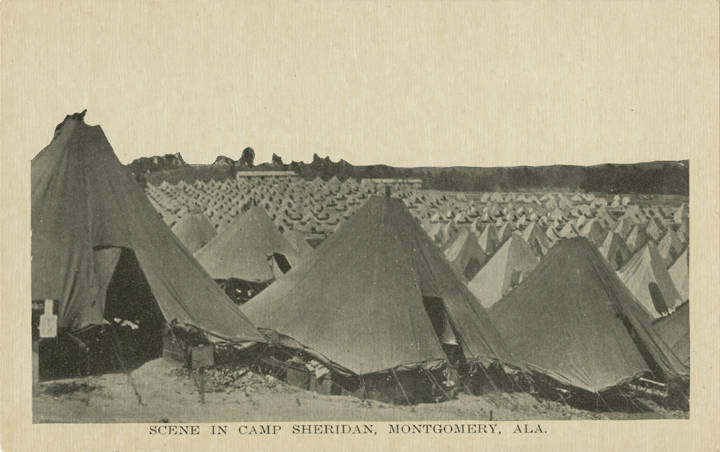 Camp Sheridan was a large United States army camp located three and one- fourth miles north of Montgomery on the Lower Wetumpka Road. 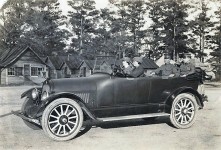 Vandiver Park had long been used by the national guard of Alabama as a training camp. When the president called the national guard together in 1916 for border service, they mobilized at that place. They were also encamped there, upon their return. When Montgomery was designated by the War Department as a mobilization center this tract of land with the purchase of additional property from Capt. A. G. Forbes and other citizens afforded the Government the two thousand acres which it had contracted with the city to furnish. 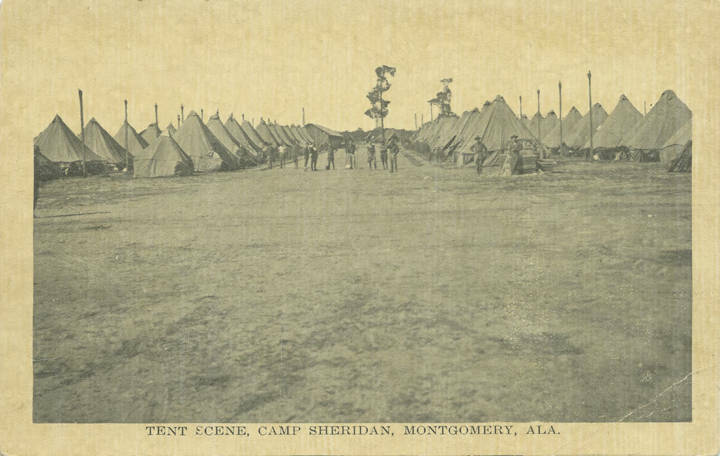 In 1917 several hundred officers and men arrived at Montgomery to start preparing Camp Sheridan for the 37th Division, composed of troops from Ohio. 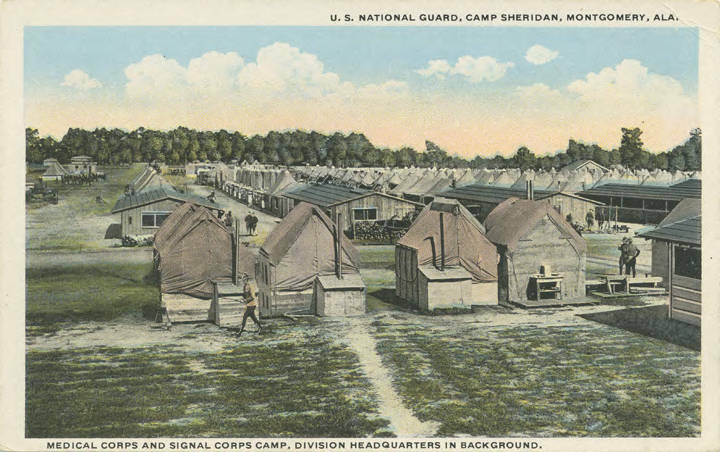 The 37th Division, consisting of the headquarters troops; the military police; two brigades of infantry; three regiments of artillery; sanitary trains; field signal corps battalion; engineer regiments; engineer train; ammunition and supply trains, was instructed at Camp Sheridan before its departure for France. 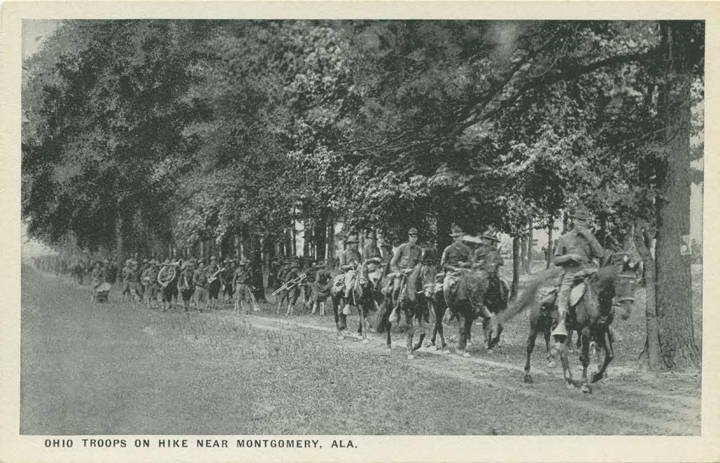 When the 37th Division departed from Montgomery for France in 1918 it was decided to form a new division which should be known as the Ninth Division, and the 45th and 46th Regiments of Infantry were assigned to the camp to be used as a nucleus for the new division. 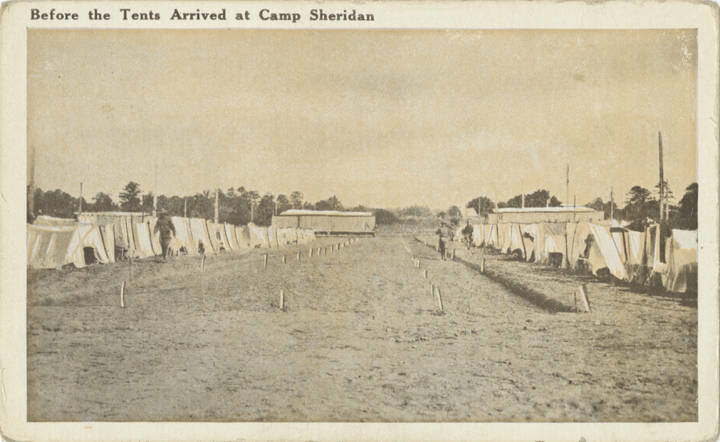 After the signing of the Armistice Camp Sheridan was designated as a demobilization camp. 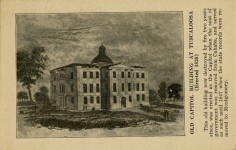 The property reverted to the city of Montgomery, which in turn sold it to the State for the site of a new State penitentiary. 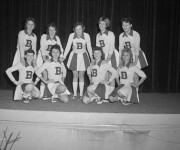 History of Alabama and dictionary of Alabama biography, vol. 1 / Marie Bankhead Owen (p. 198-202). Ribbon of Love: A Novel of Colonial America (Tapestry of Love) (Volume 1) Inspired by actual people and historical events! Based on the Cottingham ancestors of Bibb County, Alabama. We did this one a few months ago on Aliceville. 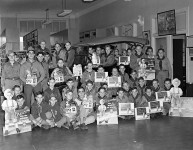 http://alabamapioneers.com/aliceville-wwii-internment-camp/#sthash.Wqnbi73B.dpbs Thanks for mentioning it. The Fitzgerald museum in Montgomery is a good place to visit. That is the 167th IN Regt. Yes. 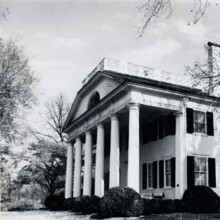 Visit the house in Montgomery where Scott and Zelda last lived together with Scottie. Very interesting. 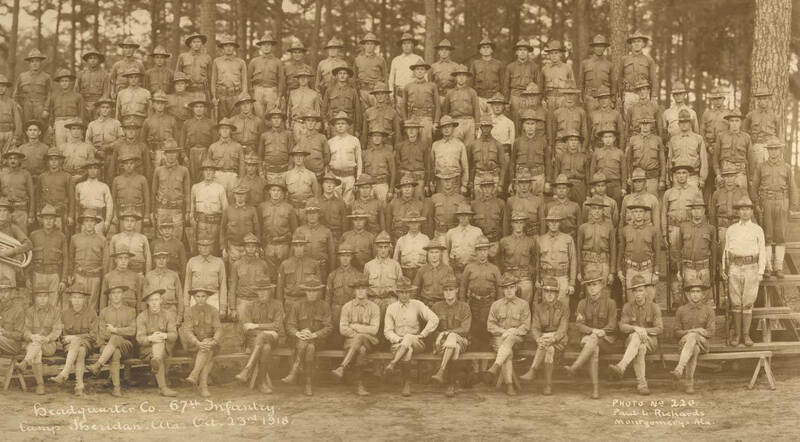 Sorry, but Fitzgerald was in the 9th Infantry Division, mustered into service in July 1918 at Camp Sheridan. The 9th replaced the 37th (Ohio) ID for which Sheridan had originally been built. The 37th began arriving in August 1917 and its final element arrived on Oct 28, 1917. 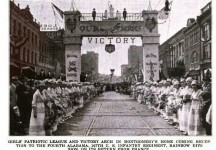 The 167th Regiment of the 42nd ID was the federalized 4th Alabama Militia (National Guard). 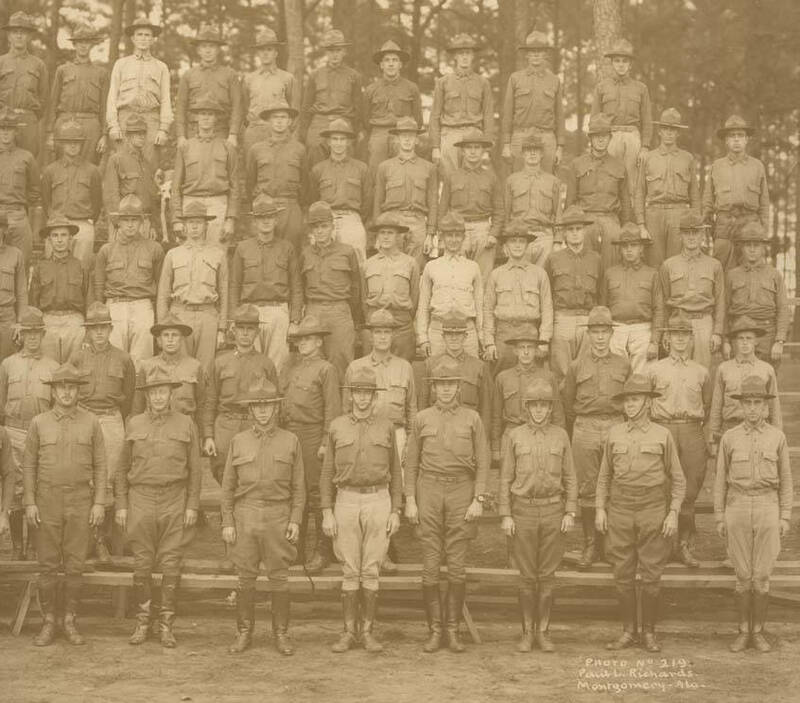 They had seen service with the Punitive Expedition to Mexico, returned to Vandiver Park (their muster grounds) in Feb 1917, then were mustered into federal service in June 1917 before General Leonard Woods signed the contract with Montgomery that created Sheridan. 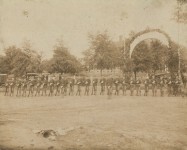 The 167th trained at Camp Mills on Long Island. 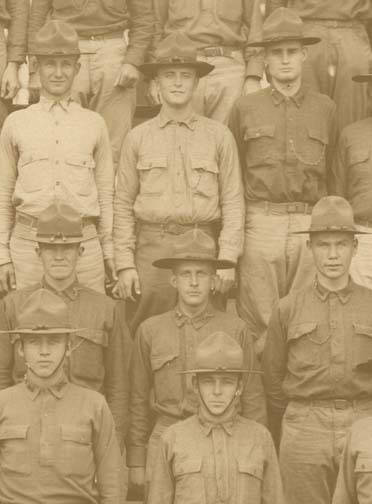 Fitzgerald’s 9th ID did not see overseas service and was mustered out at Sheridan in February 1919.